In the market for a buzzy psychological thriller to add to your winter reading list? The newest release from Greer Hendricks and Sarah Pekkanen might be just what you’re looking for! On the heels of their blockbuster bestseller THE WIFE BETWEEN US, Hendricks and Pekkanen are back with AN ANONYMOUS GIRL, coming January 8th. 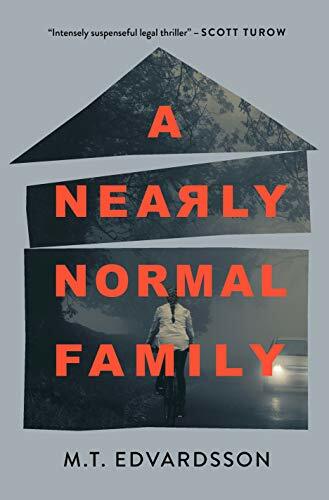 I’ve gotten lots of questions about this book from CBTB readers, and thanks to the team at St. Martin’s Press, I’m so excited to give you the inside scoop on this buzzy suspense novel! In this post, you’ll have the chance to read an early excerpt from AN ANONYMOUS GIRL - and to learn all about the book and the writing team behind it. 2019 is shaping up to be a fantastic year for crime fiction, and today’s featured thriller is proof of exactly that! I’m thrilled to share with CBTB readers a sneak peek into one of the hottest crime novels releasing this spring: BEAUTIFUL BAD by Annie Ward, available March 19th. Thanks to the team at Park Row Books, CBTB readers can dig into the first two chapters of this gripping thriller right here! I’m absolutely hooked on what I’ve read of this book so far, and can’t wait to share this one with you. Read on for a preview of Annie Ward’s BEAUTIFUL BAD! Sara Blaedel’s Louise Rick series is a veritable sensation around the globe. With over 3 million copies of her Louise Rick books in print, Sara is known as “Denmark’s Queen of Crime” for a reason. Readers will discover compelling investigations, endearing characters, and the immersive atmosphere of Denmark in Sara’s writing—and it’s this potent combination that has kept me coming back to her books over and over again. 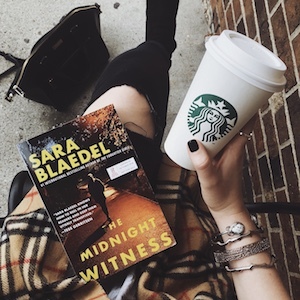 Thanks to Grand Central Publishing, I’m thrilled to share an excerpt from THE MIDNIGHT WITNESS (Book 1 in Blaedel’s Louise Rick series, now re-released in a new edition) with CBTB readers today! In this post, you will find an overview of the Louise Rick series, more information on THE MIDNIGHT WITNESS, and an excerpt from the book. Happy reading! I’ve had my eye on Elisabeth Norebäck’s debut novel TELL ME YOU’RE MINE for quite a while now - and, in anticipation of its September release, I’m so excited to share with CBTB readers a preview of this intriguing domestic suspense novel! 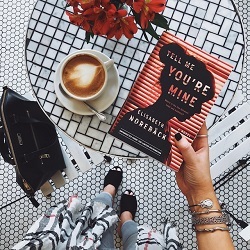 Swedish author Elisabeth Norebäck explores the delicate balance between love and obsession in her domestic thriller set in Stockholm; I’m digging into TELL ME YOU’RE MINE today, and can’t wait to share my full thoughts on this one with CBTB readers soon. In the meantime, thanks to Elisabeth’s US publisher, I’m thrilled to give you a chance to dip into TELL ME YOU’RE MINE in advance of its release this September! Read on to learn more about TELL ME YOU’RE MINE, and to dip into the book’s first chapter.